shown to impact human behaviours. Arts is used in this project to communicate how a person could experience endurance in isolation using colours. Methods: Since young age, I. Cinelli associates words and numbers to colours, that she sees distributed in space with an order depending on their meaning. Emotions and feelings will be mapped throughout the adaptation in isolation. Acrylic colours will be used to map emotions on a flight-suits. Introduction: Objective is to test the strength of premix concrete (cement plus Earth soil as aggregate) and Portland cement plus local soil. Supplies set up in science dome and calculations started for weights of each material. Rationale: Important for understand building structures on Mars using available materials on the planet. Methods: Mix various ratios of cement and local soil and water and test the strength with known weights until failure. 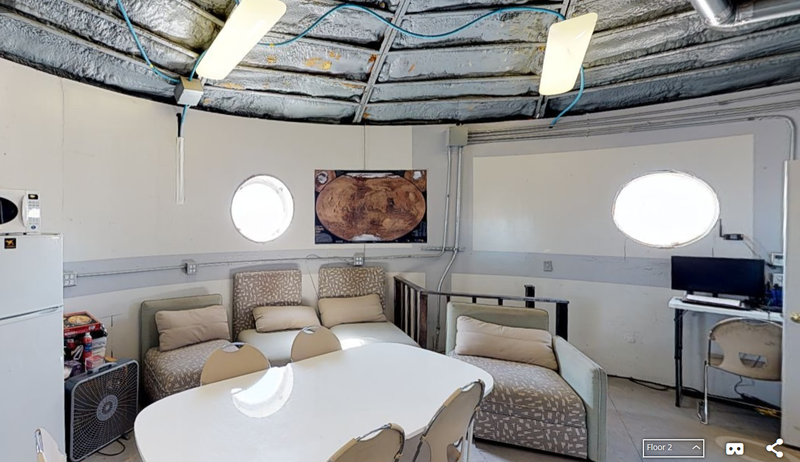 Introduction: Understanding what microbes survive the Mars-like environment around the MDRS can serve as a proxy to the type of microbes that may survive Mars itself. Identifying sample microbes can be achieved with commercial-made microscopes, but can also be achieved with homemade microscopes in the event that a more official microscope is not available. 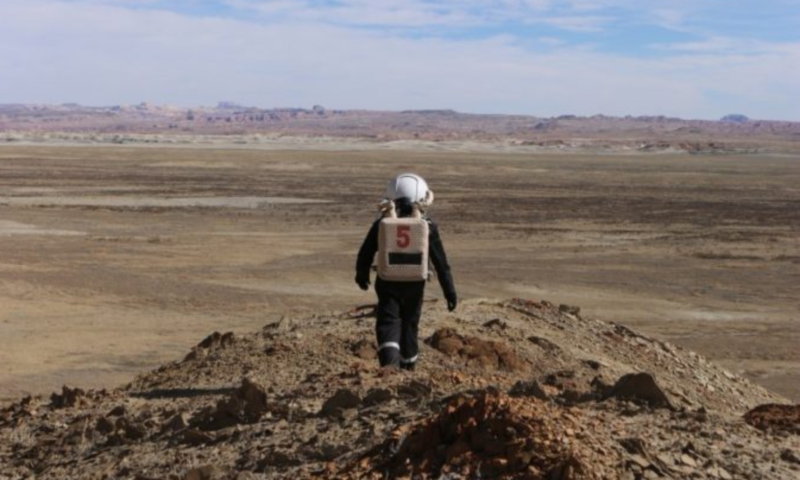 Rationale: Microbe survival in Mars environments has important implications for planetary protection and crew immunity. Methods: Build homemade microscopes from economical material, namely by removing the lens from laser pointers, attaching them to camera phones, and placing the sample on a flashlight covered by paper and plastic slides. 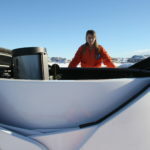 Collect microbes from nearby the MDRS. Take photos of magnified microbes using both commercial and homemade microscopes. Introduction: Modeling the energy behaviour of the Habitat is key to optimize the use of available resources. 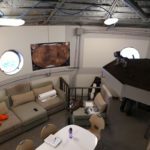 By building an energy model of the Habitat that can be validated by in site measurements, it would be possible to adapt it to a Martian environment. 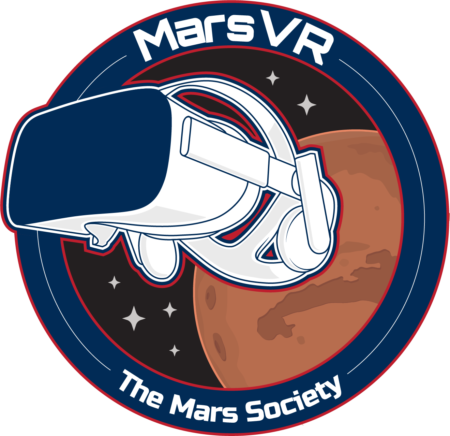 Rationale: A Martian station will need to be a “smart building” enabling to monitor resources use and perform failure detection and recovery. In MDRS, it will be useful to have a better assessment of the thermal power dissipated compared to the one generated. Rationale: Crew 197 didn’t complete these tasks. 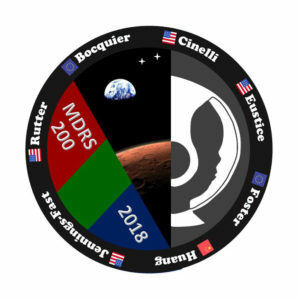 Rationale: The colonization of Mars will involve people of many nationalities and backgrounds working together towards a common goal. Education and outreach is the foundation for this great project. 1.1 Year 8 HAB design – HAB design questionnaire “Ask The Experts” (from PHSE lessons), to be carried out @ MDRS. Questionnaire results to be presented in PHSE lesson late December. 1.2 Year 7 Science club – Introduced science project list. Follow up questions to be sent before mission start. i. Measure and compare Naked Eye Limiting Magnitude at Dukhan and MDRS, using star chart for Cygnus. ii. Construct a Cooking Oil Differential Photometer, measure and compare sunlight transmission at Dukhan and MDRS. 1.5 Oryx award students (yr 12): Climate change project- Assess energy supply and usage at MDRS, use as input for a sustainable energy project. 1.6 Outreach: Maintain blog site, send at least daily updates for all projects. (text / photo / video) during the mission. i. Biology / Greenhab food growth rate comparison “Cress Race” comparing GreenHab to local growing conditions. Introduction: Carry out a mixed Astronomy program consisting of science measurements and astrophotography. Take some beautiful images and share them with the community. 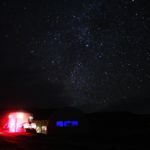 Rationale: Utilise the great astronomy facilities at MDRS, demonstrate the capability of the MDRS observatories by contributing to the science community and delivering some beautiful astrophotography as a means to engage the public. iii. Wide field astrophotography campaign. iv. Solar prominence time lapse imaging. Today at the habitat we shared our experience with our guests who were visiting. We demonstrated our cooking ability for them and the creativity of cooking with dehydrated food. Our guests were impressed with the facilities and the cooking. The crew has been working together superbly. Crew members are jumping in to help each other, often without being prompted. One example of collaboration was maintaining the solar observatory. Three Martians aided in the repair of the observatory. This required cooperation during cold conditions coordinating directions both written and received remotely from Earth. In addition, the snow yesterday was simultaneously stunningly beautiful and nerve-racking. The snowy perfection represented the unknown. What would these conditions mean for the mission? But we pressed forward and continued our training. 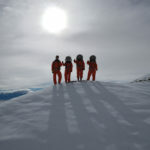 Well before the mud and conditions were too severe, we ceased EVAs and continued our training in the safety of the Hab. This demonstrated our crews resilience and flexibility. We are thinking like Martians. 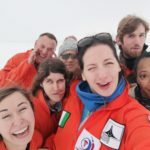 Please find attached our Crew Photos for Sol 2, all photos taken in the vicinity of the Hab. Generator (hours run): From 4:30 pm last night to 3:30 pm this afternoon (due to snow and mud, impossible to go on EVA or engineering tour). On tonight at 5:50 pm. Notes on rovers: Rovers were not used or moved since yesterday, in charge from yesterday afternoon. 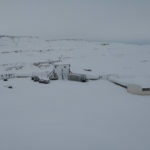 General notes and comments: Due to strong snow and mud conditions, EVA and engineering tour were not allowed. This was approved by Shannon. Thus some of the measurements could not be performed (and generator stayed on during day, we will prevent this happening next days). Summary of internet: After issues yesterday to connect to the network, we rebooted the Modem and everything is fine. Summary of suits and radios: Ventilation system of suits 7 and 10 are not working. I will have a more detailed look at them tomorrow. Summary of Hab operations: media visit today with recordings inside the hab and in the other parts of the station. Summary of GreenHab operations: some plants planted. replacement UPS battery, error message on startup “Warning State – Replace Battery”. Restored connections to original config, UPS switched off / plugged in. 2. Checked C14 for condensation (none significant observed) applied gentle heat to scope body for 1 hour & unplugged Tempest fan. Objects Viewed: Milky Way & constellation Cygnus (visual only). Image attached, Cygnus / Milky Way taken with Canon D60 @ ISO 3200 / 20s exp. 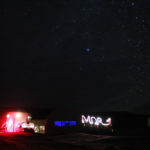 Second image w/ light painting by MDRS 200 crew member. Carried out observational Limiting Magnitude exercise, est. NELM 5.9, clouds moving in from South during exercise. Poor weather conditions (snow / cold). Robotic Observatory maintenance carried out, see Operations Report for details. Solar Features Observed: Carried out test of system / visual observation of Sun. No sunspots visible, no major features observed. Observatory equipment photographs (start of mission) attached. First day in the Greenhab! A sauna for me, but a retreat for anyone trying to briefly escape the cold. Still trying to understand the operations and needs of individual plants. Support/Supplies Needed: The humidity/temperature measure is not displaying the temperature correctly; we may need a new sensor. The supplemental light did not come on Sunday night, but did tonight; I will check to see if the light goes off at midnight tonight. Some of the snap peas and tomatoes are not doing well; I believe they need more sun to thrive. Mission Status: All crew members are healthy and productive. Sol Activity Summary: We interacted with guests and fixed solar observatory. Look Ahead Plan: We will do science most of the day tomorrow. Anomalies in work: Solar observatory had issues that needed fixing. Weather: Unexpected snowy weather created muddy and slippery ground. Crew Physical Status: One crew member felt headache due to cold weather, rested, and has no more symptoms. EVA: No EVAs today due to inclement weather. Generator (hours run): From 5:30 pm last night to 2 am this afternoon (due to snow). On tonight at 4:30 pm. Notes on rovers: Two rovers parked in front of the RAM at new charging stations. Spirit and Opportunity should be parked there, while Curiosity should be parked next to the GreenHab until Deimos is operational. We are still seeing much shorter ranges on the rovers, not sure if it is a problem or just lack of use, so we will have to give them more ride time to see if this improves. General notes and comments: The crew worked amazingly hard yesterday repairing the tunnel and getting it covered. We managed to get it all up and functional, although there is still much work to be done to tidy up the tarps and secure it for the season. But this is work that can be done in sim or by a single person, so the day was a complete success. When I shut down the power for the installations of the RAM’s power, I had to shut down the entire system, which I didn’t know how to do. So I did it the only way I know how and now the charger button is acting differently than before, but it still fixes the problem of generator speed so I guess we are fine until the contractor arrives next week. Summary of suits and radios: The crew used the suits and so can give a complete report on their condition as soon as possible. 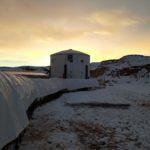 Summary of Hab operations: Rodent found a new home. Summary of ScienceDome operations: The crew helped to rearrange the bench modules to reflect the new design of the space. The ovens/incubator are now on the metal bench. The heater will be installed on the lower bench of this table and should not be moved from that spot. Questions, concerns, and requests to Mission Support: Nothing at this time.